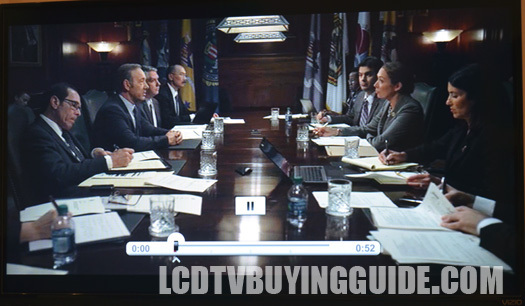 The smaller of the 2014 E series Vizio LED TVs are pretty standard fare. The E241-B1 doesn't feature the full-array LED backlighting that larger sizes have this year. Instead, its got the Razor LED backlighting that we've seen before, and this is fine for a small TV. It does have a full HD 1080p resolution screen that helps it double as a computer monitor when needed. It's got an attractive look as well to help it keep up with some of the more flashy LED TVs out there. The E241-B1 has a bright and clear 1080p picture thanks to the Razor LED edge-lighting. 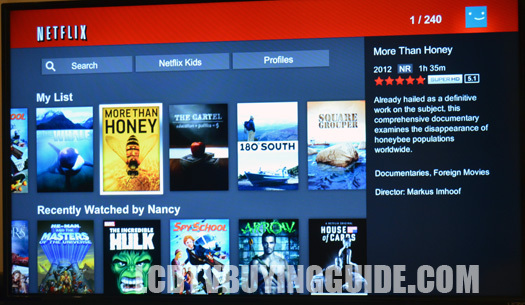 Some might wonder why it has full HD resolution since some of the larger TVs only have 720p screens. It is going the be very hard to tell the difference on a 24 inch screen for regular programming. The difference comes into play when a computer gets hooked up to the TV. Since it's 1080p there is going to be much more working room becuase computers can put out a 1080p signal. Most over the air broadcasts are still in 720p as well. The 60Hz refresh rate is another thing not to worry about. Once again, motion blur is going to be hard to spot on a TV of this size. Vizio shedded the local dimming feature on this model of the E-series. The Vizio E241i-B1 has the Vizio Internet Apps Plus platform included. The built-in wifi allows for instant access and plenty of speed for HD content streaming. The 'Plus' in the name means the interface is much more user friendly and the overall performance is faster than before. Some of the most useful apps included are Netflix, Amazon Instant Video, VUDU, MGO, Hulu Plus, YouTube, Pandora, iHeartRadio, and Facebook. There are plenty more too. The E241-B1 has also recieved some upgrades to the appearance. The bezels are now slimmer than they were last year. The profile on this E series TV has done some thinning as well, but not to the level of some of the slimmest edge-lit LEDs. An excellent addition to the size is the low profile branched arm stand. This sets it apart from other plain looking smaller TVs out there. All in all, this is an average looking value LED TV. 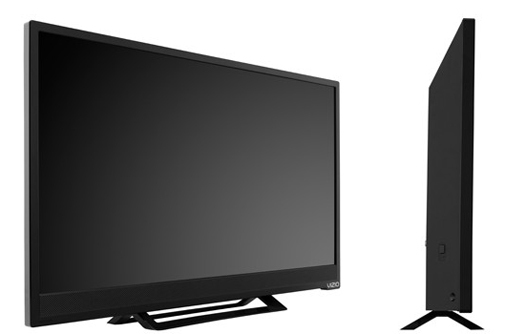 The Vizio E241i-B1 presents a decent value for the size since it can function as a computer monitor or TV for a small room. The internet enabled model goes for $189. Shave $10 off the price for the model without wifi and smart TV features. Strong contrast and picture depth from front and center is the highlight in the picture quality realm. Vizio Internet Apps Plus don't do anything new for the platform, but everything works well and doesn't leave much to be desired. Some downsides are a non-backlit remote, 2-point white balance, and a non-swivel stand. But these are dealbreakers by any means.